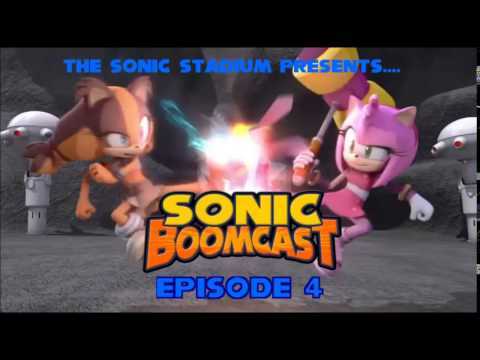 Sadly, this is our final Sonic Boomcast…….before all the Sonic Boom media hits! Yeah, you’re not getting off that easy. We got plenty to talk about this week including the latest Sonic Boom news and Tanner “Ogilvie” Bates fills us in on his trip to the Sonic Boom 2014 event. I also give you a rundown on the brand new Sonic Boom toys just released including prices and a short review. We’d like to keep up the monthly comments section, so keep commenting and if we like (or occasionally hate) yours, we’ll talk about it on the air. I got an extra Knuckles and Sonic. Do you want them? Just listen to this episode and be the first to answer my trivia question somewhere during the show. You’ll get Sonic, Knuckles and the spindash roller. They’re used but it great condition. UK and USA residents only.